The marathon is a long-distance race, completed by running, walking, or a run/walk strategy. There are also wheelchair divisions. The marathon has an official distance of 42.195 kilometres, usually run as a road race. The event was instituted in commemoration of the fabled run of the Greek soldier Pheidippides, a messenger from the Battle of Marathon to Athens, who reported the victory. Spyridon Louis, commonly Spyros Louis, was a Greek water-carrier who won the first modern-day Olympic marathon at the 1896 Summer Olympics. Following his victory, he was celebrated as a national hero. The ancient Olympic Games were originally a festival, or celebration of and for Zeus; later, events such as a footrace, a javelin contest, and wrestling matches were added. The Olympic Games were a series of athletic competitions among representatives of city-states and one of the Panhellenic Games of ancient Greece. They were held in honor of Zeus, and the Greeks gave them a mythological origin. 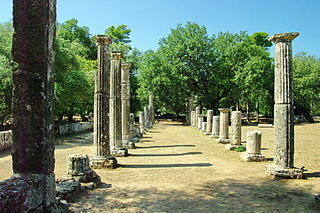 The first Olympics is traditionally dated to 776 BC. They continued to be celebrated when Greece came under Roman rule, until the emperor Theodosius I suppressed them in AD 393 as part of the campaign to impose Christianity as the State religion of Rome. The games were held every four years, or olympiad, which became a unit of time in historical chronologies. The Panathenaic Stadium or Kallimarmaro is a multi-purpose stadium in Athens, Greece. One of the main historic attractions of Athens, it is the only stadium in the world built entirely of marble. The 1896 Olympics were regarded as a great success. The Games had the largest international participation of any sporting event to that date. The Panathenaic Stadium overflowed with the largest crowd ever to watch a sporting event. 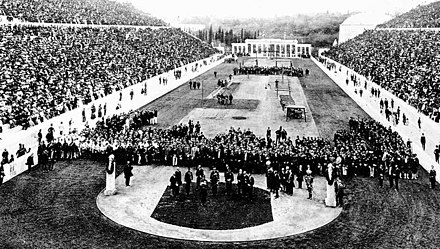 After the Games, Coubertin and the IOC were petitioned by several prominent figures, including Greece's King George and some of the American competitors in Athens, to hold all the following Games in Athens. However, the 1900 Summer Olympics were already planned for Paris and, except for the Intercalated Games of 1906, the Olympics did not return to Greece until the 2004 Summer Olympics, 108 years later. George I was King of Greece from 1863 until his assassination in 1913. The Zappas Olympics, simply called Olympics at the time, were a series of athletic events held in Athens, Greece, in 1859, 1870, and 1875 sponsored by Greek businessman Evangelis Zappas. These games were one of the first revivals of the ancient Olympic Games in the modern era. Their success provided further inspiration for William Penny Brookes in England, whose games had been running since 1850, and the International Olympic Committee series from 1896. Pierre de Frédy, Baron de Coubertin was a French educator and historian, and founder of the International Olympic Committee, and its second President. He is considered one of the fathers of the modern Olympic Games. Born into a French aristocratic family, he became an academic and studied a broad range of topics, most notably education and history. He graduated with a degree in law and public affairs Paris Institute of Political Studies. It was at Sciences Po that he came up with the idea of the Summer Olympic Games. Pedagogy refers more broadly to the theory and practice of education, and how this influences the growth of learners. Pedagogy, taken as an academic discipline, is the study of how knowledge and skills are exchanged in an educational context, and it considers the interactions that take place during learning. Pedagogies vary greatly, as they reflect the different social, political, cultural contexts from which they emerge. Pedagogy is the act of teaching. Theories of pedagogy increasingly identify the student as an agent, and the teacher as a facilitator. Conventional western pedagogies, however, view the teacher as knowledge holder and student as the recipient of knowledge. Demetrios Vikelas was a Greek businessman and writer; he was the first President of the International Olympic Committee (IOC), from 1894 to 1896. At the 1894 Sorbonne congress, a large roster of sports were suggested for the program in Athens. The first official announcements regarding the sporting events to be held featured sports such as football and cricket,  but these plans were never finalised, and these sports did not make the final list for the Games. Rowing and yachting were also scheduled, but were cancelled due to poor weather on the planned day of competition. As a result, the 1896 Summer Olympics programme featured 9 sports encompassing 10 disciplines and 43 events. The number of events in each discipline is noted in parentheses. The rules of the International Cycling Association were used for the cycling competitions. The track cycling events were held at the newly built Neo Phaliron Velodrome. Only one road event was held, a race from Athens to Marathon and back (87 kilometres). Four events were scheduled, but the épée event was cancelled for unknown reasons. The foil event was won by a Frenchman, Eugène-Henri Gravelotte, who beat his countryman, Henri Callot, in the final. The other two events, the sabre and the masters foil, were won by Greek fencers. Leonidas Pyrgos, who won the latter event, became the first Greek Olympic champion in the modern era. Afterwards, the king awarded prizes to the winners. Unlike today, the first-place winners received a silver medal, an olive branch and a diploma, while runners-up received a copper medal, a laurel branch, and diploma. Third place winners did not receive a prize. The concept of national teams was not a major part of the Olympic movement until the Intercalated Games 10 years later, though many sources list the nationality of competitors in 1896 and give medal counts. There are significant conflicts with regard to which nations competed. The International Olympic Committee gives a figure of 14, but does not list them. The following 14 are most likely the ones recognised by the IOC. Some sources list 12, excluding Chile and Bulgaria; others list 13, including those two but excluding Italy. Egypt is also sometimes included because of Dionysios Kasdaglis' participation. Belgium and Russia had entered the names of competitors, but withdrew. ↑ "Factsheet - Opening Ceremony of the Games f the Olympiad" (PDF) (Press release). International Olympic Committee. September 13, 2013. Archived (PDF) from the original on 14 August 2016. Retrieved 22 December 2018. ↑ Mullins, "Pierre de Coubertin and the Wenlock Olympian Games"
↑ Young (1996), 118. According to Young (2004), 153, "Vikelas and the other Greeks did most of the work. Coubertin did very little." ↑ Some scholars allege that during the Sorbonne congress Coubertin was led by tactical considerations, and used the amateur requirement only as a bait in order to realize his actual aim—namely the reintroduction of the Olympic Games—more quickly (Lennartz–Wassong ), 20. ↑ Professionalism vs amateurism was one of the dominant themes of the 19th century regarding athletics. In Greece the amateurism of athletes debate was taken a step further to encompass the question of the participation of the lower classes in the Games. In 1870, during the Zappian Olympic Games, Philippos Ioannou, a classical scholar and professor, criticised the games, and attacked the ideal of amateurism. His contention was that they were a parody, because people from the working class had taken part in the games. Ioannou suggested that only young people from the upper class should be accepted in the following Olympiad (Professionals and Amateurs, Foundation of the Hellenic World). 1 2 History of the Athens Lawn Tennis Club. Archived 29 September 2010 at the Wayback Machine (in English) & (in Greek) - accessed 3 October 2010. ↑ Worldportsource.com profile of the Zea, Greece marina. - accessed 4 July 2010. ↑ Lennartz, Karl; Wassong, Stephen (2004). "Athens 1896". In John E. Findling, Kimberly D. Pelle. Encyclopedia of the Modern Olympic Movement. Greenwood Publishing Group. ISBN 0-313-32278-3. OCLC 52418065. . p. 23. ↑ Stadia.gr profile of Karaiskakoid Stadium in 1895, 1964, and 2003. - accessed 3 October 2010. ↑ 2004 Summer Olympics official report. Archived 19 August 2008 at the Wayback Machine Volume 2. p. 324. Accessed 3 October 2010. ↑ 2004 Summer Olympics official report. Archived 19 August 2008 at the Wayback Machine Volume 2. pp. 237, 242, 244. Accessed 3 October 2010. ↑ 2004 Summer Olympics official report. Archived 19 August 2008 at the Wayback Machine Volume 2. p. 242. Accessed 3 October 2010. ↑ 2004 Summer Olympics official report. Volume 1. pp. 116-7.. Accessed 3 October 2010. ↑ 2004 Summer Olympics official report. Archived 19 August 2008 at the Wayback Machine Volume 2. p. 20. (Listed as Zappeio). Accessed 3 October 2010. ↑ 1896 Summer Olympic official report. Volume 2. pp. 83-4. Accessed 3 October 2010. ↑ 1896 Summer Olympics official report. Volume 2. pp. 86-90, 100-2. Accessed 3 October 2010. ↑ 1896 Summer Olympics official report. Volume 2. pp. 74-75, 97-99. Accessed 3 October 2010. ↑ 1896 Summer Olympics official report. Volume 2. pp. 31-49. Accessed 3 October 2010. ↑ Zappeion history. - accessed 3 October 2010. ↑ "No spot the Olympics? It's not cricket". 1 2 Fernando Arrechea Rivas. "Olimpismo". olimpismo2007.blogspot.com. Retrieved 2016-04-09. ↑ LUN. "www.lun.com". lun.com. Retrieved 2016-04-09. ↑ "Athens 1896". Bulgarian Olympic Committee. Archived from the original on 2007-03-12. ↑ Olympic Games Museum (2011). "Participating Countries – Olympic Games Athens 1896". olympic-museum.de. Archived from the original on 2011-11-27. Retrieved 22 May 2011. ↑ "Giuseppe Rivabella". Sports-Reference. Retrieved 24 February 2009. ↑ Charles Champaud can be considered an athlete for either Switzerland or Bulgaria. ↑ "Women at the Olympic Games". topendsports.com. Retrieved 9 April 2016. Wikimedia Commons has media related to 1896 Summer Olympics . "Almanac of the 18 June". Almanac of the Day. International Olympic Committee . Retrieved 16 June 2008. "Athens 1896". Bulgarian Olympic Committee. Archived from the original on 2013-10-29. Retrieved 7 July 2008. Bijkerk, Anthony T. (2004). "Pierre de Coubertin". In John E. Findling, Kimberly D. Pelle. Encyclopedia of the Modern Olympic Movement. Greenwood Publishing Group. ISBN 0-313-32278-3. OCLC 52418065. Coubertin, Pierre De; Hambidge, Jay (November 1896). "The Olympic Games of 1896". 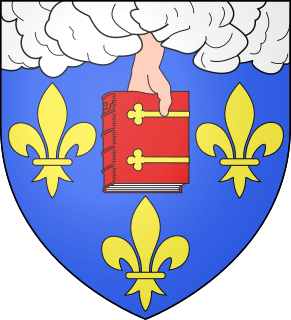 LIII (1). The Century Magazine . Retrieved 28 June 2008. Darling, Janina K. (2004). "Panathenaic Stadium, Athens". Architecture of Greece. Greenwood Publishing Group. ISBN 0-313-32152-3. OCLC 54500822 . Retrieved 2016-04-09. De Wael, Herman. "Herman's Top Athina 1896 Olympians". Archived from the original on 2007-11-30. Retrieved 3 July 2008. Gillmeister, Heiner (1998). Tennis: a Cultural History (PDF). Continuum International Publishing Group. ISBN 0-7185-0195-0. OCLC 67496016 . Retrieved 2016-04-09. Guttmann, Allen (1994). Games and Empires: Modern Sports and Cultural Imperialism. Columbia University Press. ISBN 0-231-10042-6. OCLC 231638134 . Retrieved 2016-04-09. Lennartz, Karl; Wassong, Stephen (2004). "Athens 1896". In John E. Findling, Kimberly D. Pelle. Encyclopedia of the Modern Olympic Movement. Greenwood Publishing Group. ISBN 0-313-32278-3. OCLC 52418065 . Retrieved 2016-04-09. Martin, David E.; Gynn, Roger W. H. (2000). "The Olympic Marathon". Running through the Ages. Human Kinetics. ISBN 0-88011-969-1. OCLC 42823784 . Retrieved 2016-04-09. Matthews, George R. (2005). "The Ghost of Plato". America's First Olympics: The St. Louis Games Of 1904. University of Missouri Press. ISBN 0-8262-1588-2. OCLC 58468164 . Retrieved 2016-04-09. McGehee, Richard V. (2000). "The Impact of Imported Sports on the Popular Culture of Nineteenth- and Early Twentieth-Century Mexico and Central America". In Ingrid Elizabeth Fey, Karen Racine. Strange Pilgrimages: Exile, Travel, and National Identity in Latin America (PDF). Rowman & Littlefield. ISBN 0-8420-2694-0. OCLC 237382448 . Retrieved 25 July 2008. Sears, Edward S. (2001). "The Revival of the Olympic Games". Running through the Ages. McFarland. ISBN 0-7864-0971-1. OCLC 46650949 . Retrieved 2016-04-09. Young, David C. (2004). "The Modern Olympic Games". A Brief History of the Olympic Games. Oxford: Blackwell. ISBN 1-4051-1130-5. OCLC 54111254 . Retrieved 2016-04-09. At the 1896 Summer Olympics, two tennis events were contested, both for men. They began on 8 April and continued on 9 April, 10 April, and 11 April. 13 or 15 competitors from six nations, including seven Greeks, took part in the tennis competition. Many of the doubles teams were of mixed nationality, including all three medalist pairs. None of the leading players of the time such as Wimbledon champion Harold Mahony, U.S champion Robert Wrenn, William Larned or Wilfred Baddeley participated. To strengthen the field, the organization added sportsmen from other Olympic events, including weightlifter Momčilo Tapavica, hammer thrower George S. Robertson and 800-metres runners Edwin Flack and Friedrich Traun. At the 1896 Summer Olympics, three fencing events were contested at the Zappeion. They were prepared and organized by the Sub-Committee for Fencing. The épée event for men was cancelled. All fencing was done to three touches. Events were held on 7 April and 9 April 1896. 15 athletes from four nations competed; 8 fencers from 3 nations won one medal each. At the 1896 Summer Olympics, six cycling events were contested at the Neo Phaliron Velodrome. They were organized and prepared by the Sub-Committee for Cycling. Events were held on 8 April, 11 April, 12 April and 13 April 1896. Nineteen cyclists, all men, from five nations competed. At the 1896 Summer Olympics, the first modern Olympiad, twelve athletics events were contested. A total of 25 medals were awarded. The medals were later denoted as 37 modern medals. All of the events except the marathon were held in the Panathinaiko Stadium, which was also the finish for the marathon. Events were held on 6 April, 7 April, 9 April, and 10 April 1896. Altogether, 64 athletes, all men, from ten nations competed. This made athletics the most international of the nine sports at the 1896 Games. The 1896 Summer Olympics medal count is a list of National Olympic Committees ranked by the number of medals won during the 1896 Summer Olympics—the first Olympic Games of the Modern era—held in Athens, Greece, from 6 to 15 April 1896. A total of 241 athletes from 14 nations participated in 43 events in nine sports at these games. One athlete from Victoria, a British colony which later formed part of Australia, competed at the 1896 Summer Olympics in Athens, Greece. Edwin Flack was born in England and was resident in London in 1896, but spent most of his life in Australia and so is considered an Australian athlete by the International Olympic Committee. Thirteen athletes from France competed in six sports at the 1896 Summer Olympics. France won the fourth-most gold medals with 5 and the fourth-most total medals with 11. Cycling was the sport in which the French competitors had the most success, as they completely dominated the field. The French team had 27 entries in 18 events, winning 11 medals. Germany competed at the 1896 Summer Olympics in Athens, Greece. The Germans were the third most successful nation in terms of both gold medals and total medals (13). Gymnastics was the sport in which Germany excelled. The German team had 19 athletes. The Germans had 75 entries in 26 events, taking 13 medals. Fourteen competitors from the United States competed in three sports at the 1896 Summer Olympics in Athens, Greece. 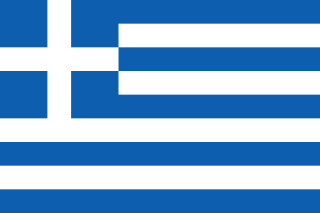 The Americans were the most successful athletes in terms of gold medals, beating host nation Greece, 11 to 10, despite fielding only 14 competitors compared to an estimated 169 Greek entrants. However, the Greeks' 46 total medals dwarfed the Americans' 20. The men's 1500 metres race, the longest flat-track race of the 1896 Summer Olympics programme, was the last event on 7 April. It was run in a single heat, with eight athletes competing. The men's rings was one of eight gymnastics events on the Gymnastics at the 1896 Summer Olympics programme. The fifth event, it was held on 9 April. The Greeks won the gold and bronze medals, with Hermann Weingärtner winning his fifth medal. Places 1-3 and 5 are known, but 4 is not - any of the four athletes whose places are not known may have occupied the fourth position. Early Olympic Games allowed for individuals in a team to be from different nations. The International Olympic Committee (IOC) now groups their results together under the mixed team designation. At the 1896 Summer Olympics, two of three of the medalling pairs in the doubles event in tennis were of mixed nationality. The marathon at the Summer Olympics is the only road running event held at the multi-sport event. The men's marathon has been present on the Olympic athletics programme since 1896. Nearly ninety years later, the women's event was added to the programme at the 1984 Olympics.